Root Canal vs Dental Implant? Is a Root Canal or Implant Better? Is the tooth really fixable at all? If a tooth is cracked down the root it is not repairable. A root canal will not work at all for a cracked tooth. Many times cracks cannot be diagnosed until money and time has been wasted on a root canal and crown. Is there so much damage, the tooth is not even worth fixing anyway? If there is hardly any tooth remaining because the top crown portion is all rotted-out, the tooth may fall apart in a short period of time. How long will the tooth last if you fix it? In my practice I removed lots of infected root canal teeth. The average age of a root canal extraction tooth is 5-10 years. What is better a Root Canal or Crown? Root Canal will take 3-5 dental appointments, Cost $2000 – $4000 and 3 – 4 hours in the Dental Chair. A Dental Implant will take 3 dental appointments, Cost $3000 – $5000 and 1 – 2 hours in the Dental Chair. The life expectancy of a Root Canal is 1 – 10 years, but an Implant is expected to last a lifetime. There are no health concerns with Implants whereas root canals have been rumored to make you sick and cause jaw bone infections. Root Canals can also damage the jaw bone and make getting implants in the future very costly if not impossible. Root Canal or Remove Tooth and Replace with a Dental Implant? Many patients will be placed in a position where they are told they need a root canal and crown. Every year thousands of root canals fail for many different reasons, including root re-infection, root fracture, new dental decay. At a certain point, a tooth may not be repairable or it may get to the point where a tooth is a poor financial investment. Root canal teeth may last only a year, possibly up to 10 years and maybe if you are super lucky, 15 or 20 years. Most dental implants, after initial success, last a lifetime. Investing in a root canal can lead to major bone health and infection in the future, requiring multiple bone graft surgeries, cost thousands of dollars and it may not even work. Root Canals worth the Cost? Lets consider these two situations: 1) Root Canal. A tooth in need of a root canal also needs a filling and a crown to stand a chance for success. In the Burtonsville, Maryland area, the cost of a root canal, filling and a crown is $3000 – $3500. The patient will typically need to see a root canal specialist for the root canal. This means the patient will need to go to a different office, meet a different dentist, fill out a bunch of new forms, possibly get more X-rays taken, have another exam and finally receive a diagnosis and root canal treatment. The root canal may be done during the same visit or the patient may need to go back for a second visit to get the root canal. The average Root Canal takes 1 – 1.5hrs to complete in the dental chair. The procedure is not especially difficult to sit through, but it is tedious and often the patient will need to open wide for long periods of time. Once the root canal is complete, the patient will be sent back to their normal dentist to get a filling and crown procedure. A filling and a crown takes 1-1.5 hours of time in the dental chair to prepare. The patient gets a temporary crown and needs to return back to the dentist doing the crown to have the permanent crown placed 2-3 weeks after crown preparation. To summarize, the root canal costs $3000 – $3500, 5 visits to two different dentists and probably 4 hours in the dental chair. The chance for initial Root Canal Success is 85-90% based on the dental literature. Success after 10 years goes way down well under 50%. Root Canal teeth can become re-infected, non-vital Root Canal teeth become more brittle over time and are more likely to crack and break. Root canal removal? 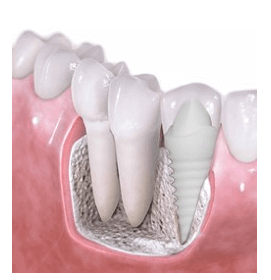 Dental Implants worth the Cost? Dental Implants an Alternative to Root Canals? It should be noted that Dental Implants are not an alternative treatment to root canals. If a root canal fails, the patient can always have the tooth removed and replaced with a dental implant. Many factors should be considered such as the chance for success of the root canal, the amount of insurance coverage for the different procedures. For example if, a dental insurance plan pays for more of one treatment verses the other, the patient can take the costs of the procedures into consideration. Ultimately, it is the dentist job to provide all the facts and the patient is to make an educated, informed decision about treatment. How to properly remove a root canal tooth? At Maryland Holistic Dentist, we will provide a 100% unbiased opinion and refer you to a specialist if you decide a root canal is the best option for you. If you decide to have a dental implant, we have a full service dental implant center and we will remove and replace the tooth with a dental implant in as few as 3 visits in 3 months. We offer zirconia metal free implants and titanium dental implant. Are root canals Safe? 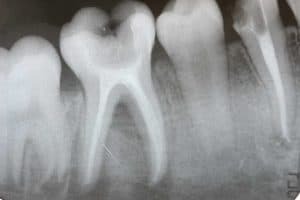 Are root canals toxic? root canal safety varies from one person to the next and is relative. What is a root canal? A root canal is where a tooth has died or is dying and where a treatment is performed to save a tooth. In every tooth root there is a living nerve, artery and vein. This living tissue resides in a tiny space at the center of the root. We call this tiny space in the center of the root a “canal”. When a tooth has a crack or decay that gets into the canal, the tooth will surely die. The tissue will be destroyed by any small bacterial contamination. A root canal is where a dentist attempts to clean the canal of the tooth and place a rubber based filling material and sealant. How to avoid a root canal? If a tooth is dying, treatment is absolutely medically necessary. There are only two options: 1) tooth removal 2) root canal. There are no other treatment options for a dead or dying tooth. The only way to prevent a root canal is to prevent the tooth from dying in the first place. Focus should be placed on early treatment of tooth symptoms and regular dental exams to treat dental cavities early. Also, treat tooth clenching and TMJ problems which is the leading cause of cracked teeth and extractions / root canals. 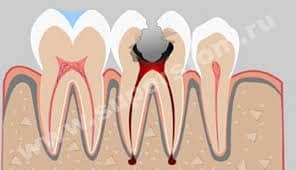 Teeth that become symptomatic should be treated immediately with dental ozone, bite adjustments and whatever is necessary to remove the cause of tooth inflammation. Every attempt to preserve the vitality of the tooth should be made and the cause of inflammation should be removed it at all possible. A root canal is really a filling material placed in the canal of the root of a tooth. The filling is intended to prevent bacterial from leaking out of the tooth and into the underlying bone. If bacteria leaks from the tooth it will cause an infection and eventually an abscess. Obviously the bacterial infection is a medical problem. Are root canals bad for you? Do root canals cause cancer? Additional problems with root canals are people are often allergic or reactive to the filling material and sealant placed way down into the root. The tooth root is porous and particles of the filling material can leak out into the underlying bone and gum. An individual can develop antibodies to the root canal materials and there can be an immunological reaction. If a patient is reactive to the root canal material, there can be white blood cell responses and chronic inflammation. A root canal is a dead tooth. The human body is constantly looking for things that do not belong and the system knows the difference between self and non-self. Is the root canal tooth non self? The debate continues. Will a root canal make you sick? the jury is still out. If you are allergic to the root canal filling material or have an infection caused by a failing root canal, something should be done. The options would be tooth extraction or another root canal with possibly a different filling material. No. The only other option is a tooth extraction or tooth removal. Are there natural root canals? Do holistic dentists do root canals? Do biological dentists do root canals? Is there a natural alternative to a root canal? How to treat a root canal naturally? There is no way to do a root canal naturally. Are dental implants safer than root canals? The are no reported human reactions to zirconia and very few to titanium. There are risks to implant surgery, but implants can be placed very safely. Implants rarely fail once they have healed properly. Implants do not have canals or pores with bacteria in them like root canal teeth can. The risk of root canal failure goes up every year after initial success. The success of implants is nearly 100% after successful placement and thy typically last a lifetime. you will get a jaw bone abscess and eventually get very sick. An extraction is necessary. Can I get an Implant if my root canal does not work? Root canal failures can cause lots of jaw bone infection and loss of bone. Sometimes the jaw bone heath can be so poor after a failed root canal that a dental implant may not be possible even after extensive bone grafting and gum grafting efforts. Most of the time a dental implant is possible after a failed root canal. 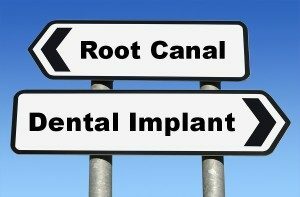 Many people may opt for a root canal and then do a dental implant when the root canal fails. All pros and cons should be considered in treatment decisions.